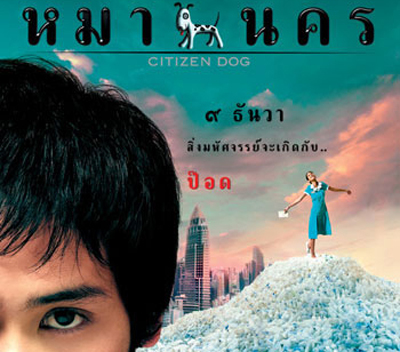 After showing Wisit Sasanatieng's Tears of the Black Tiger (ฟ้าทะลายโจร) earlier this year, Bangkok Screening Room will be showing Wisit's Citizen Dog (หมานคร) next month. 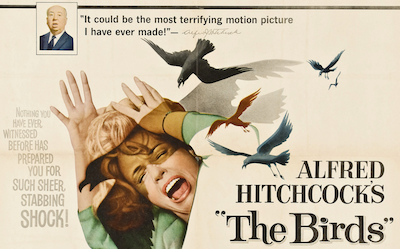 The cinema will also be screening Alfred Hitchcock's The Birds later this month. The Birds will be shown on 23rd, 24th, 25th, 26th, 28th, and 29th November; and 1st, 2nd, 5th, 6th, 7th, 9th, and 10th December. Citizen Dog opens on 28th November, and continues on 1st, 2nd, 3rd, 6th, 7th, 8th, 9th, 10th, 12th, 16th, 17th, and 21st December.